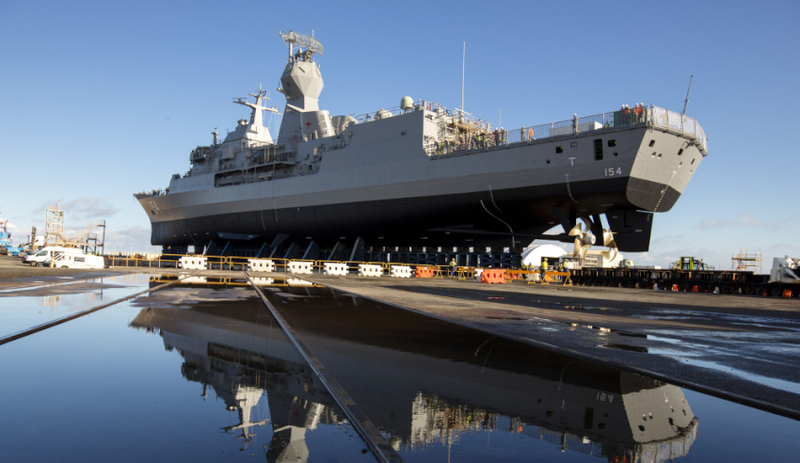 West Australian Minister for Defence Issues Paul Papalia has declared Western Australia has been “dudded” by the federal government, following the release of the Naval Shipbuilding Plan. Speaking at a press conference yesterday following the unveiling of the Naval Shipbuilding Plan, Minister Papalia stated, "We heard the Prime Minister confirm that when it comes to defence, it's just like the GST, WA gets dudded." The Naval Shipbuilding Plan revealed that South Australia, which has the lion's share of construction work for the development of Australia's naval fleet, will need foreign and interstate workers to meet the deadlines for the country's largest ever ship build. Minister Papalia has lambasted the federal government for its decision to have the bulk of construction work undertaken in SA when billions of tax-payers dollars are going to be spent developing the state's resources and building up its talent and personnel, something he claims would not be necessary if the construction were in WA. "The Prime Minister went to South Australia today to confirm that of the $90 billion worth of ship and submarine construction, South Australia gets $86 billion of it. Of $1.3 billion for infrastructure upgrades of shipyards in South Australia and Western Australia, South Australia gets $1.2 billion," Minister Papalia said. "Today, the Prime Minister confirmed he's going to get foreign workers and desperately try and attract interstate workers to go to South Australia because they don't have the human capital to do this work. "We have 100,000 people unemployed in Western Australia, many of them are highly skilled who came from industries that have identical skills required for shipbuilding. "We also have the infrastructure right now to build ships. In South Australia, the federal government's about to spend $1.2 billion of tax-payers money to replicate what we already have in Western Australia." While WA is slated to undertake the sustainment work for some of these ships and submarines post-construction, the minister said that what the state needs is immediate fabrication work. "That is where the heavy metal fabrication, highly-skilled fabrication work, resides," Minister Papalia stated. "Sustainment will come in decades in the future and of course Western Australia will get sustainment tasks, but there is very little, by comparison, fabrication work in that. We need fabrication right now." The minister has placed the blame squarely on WA's federal Liberal ministers, who he believes have failed the WA defence industry. "Where is Julie Bishop? Where is Mathias Cormann? Where is Christian Porter and Ken Wyatt? Where are all these ministers that are in the federal government, and why aren't we getting a fair share in Western Australia?" Minister Papalia said. "The Western Australian Liberals are proud that Western Australia got about 4 per cent of the ship and submarine construction work. $90 billion and $86 billion of it goes to South Australia. It's incredible that someone would say they're proud of representing their state and what we got in light of those figures."